Edinburgh is Scotland's compact and hilly Capital. Home to an array of businesses in a wide variety of sectors including big industry names such as Royal Bank of Scotland, Skyscanner, J Sainsbury, Amazon, Tesco, British Gas and Sky. A bustling and vibrant city steeped in history, Edinburgh is a beautiful place to spend Bleisure time in-between business meetings rain or shine. Edinburgh Airport is only eight miles (12km) from Edinburgh city centre, with the journey taking around 25 minutes depending on your choice of transport. Edinburgh’s main bus company, Lothian Buses provide public transportation to and from the airport with the Airlink 100 express bus service. This express bus service runs every 10 minutes from the airport to Waverley Bridge (in close proximity to the main rail and bus stations). Journey time to the city centre is around 25 minutes with tickets costing £4.50 for a single journey and £7.00 for return. A Tram service is also available running frequently between the airport and the city centre. Taking around 30 minutes, tickets cost £5.50 for a single journey and £8.50 for return. Getting around the city and surrounding areas is easy once you’re there. Most of the attractions in Edinburgh are located in the adjacent Old and New Town areas and are only a short walk from each other. Buses are also a great way of getting around the city, Lothian Buses are the main provider of local bus services and offer a Day Ticket for £4 which allows daily unlimited travel in and around Edinburgh. Taxi’s are an efficient way to get around with 2 distinct types of services available - black cabs and private taxis. Black Cabs can be either hailed down on the street or at a taxi rank, private taxis have to be pre-booked in advance. Most corporate travellers tend to bed down at hotels in the city centre, but Edinburgh has a broad range of accommodation options to suit every business travellers budget, from budget/luxury hotels to serviced apartments. Visitors to Edinburgh / Scotland cannot visit, without enjoying a dram of Scotch Whiskey at the Scotch Whiskey Experience. The museum celebrates Scotland’s national drink with an interactive guided tour which involves you in the whiskey making process. Many visitors to Edinburgh come from around the world to explore Edinburgh Castle, propelling it to the status of one of Scotland’s most visited tourist attractions. Parts of the castle itself date from 1130 A.D. while the Castle Rock site shows signs of ancient human settlements dating from around 900 B.C. 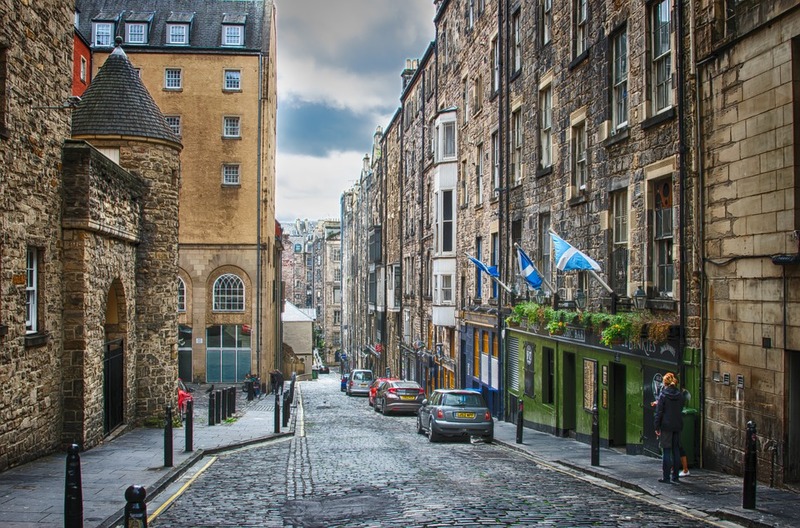 Edinburgh’s medieval old town is characterised by way of its convoluted, narrow cobbled streets (commonly known as Closes) small courtyards and medieval houses a beautiful walk in between meetings. The garden areas are comprised of rolling streams and cascading waterfalls set amidst artistically superb natural rock formations cutting and winding through the lush green acres. Highlights include an exploration of the Glass Houses, used for research since 1976 for the cultivation of rare flora indigenous to warm weather and tropical climates. Edinburgh is home to some of the world’s best museums where you can discover a wealth of artefacts and exhibitions. The National Museum of Scotland makes a great full or half-day excursion into antiquity with popular exhibits to include the Lewis Chessman exhibit, a 30 piece walrus ivory chess set dating to the 12th Century, proving to be one of the most significant archaeological finds of its kind. Edinburgh is known for its festivals! There are numerous fun festivals taking place throughout the year, most of these taking place over the summer months, with the Edinburgh International Film Festival kicking off in June, and the Fringe Festival throughout August. Edinburgh Hogmanay Festival rings in the Scottish New Year with a party spanning four days from December 30 through January 2. Edinburgh offers a variety of shops to suit any shopping mood. Whether you would like to admire haute couture fashion on Princes Street in New Town or have fun in a funky boutique in West End, Edinburgh has a place to come and shop. In the city centre of Edinburgh is Harvey Nichols, a store brimming with designer labels such as Prada and Gucci. Not far away is Multrees Walk, which sells Louis Vuitton, Armani and Mulberry. A block away from the high fashion on Princes Street is George Street, which has more sophisticated shops and fun bars. Also, clothing is not the only thing in the area, so be sure to check out The White Company for home accessories and LK Bennett for shoes. Plus, enjoy views of the beautiful Edinburgh Castle right across the street as you shop. When it comes to food, Edinburgh does not disappoint! Catering for all budgets, it is home to a plethora of bars and Michelin Star dining experiences. For Scottish cuisine head to Pibroch and for something different, try Makars Gourmet Mash Bar. If seafood takes your fancy, head to Killed Lobster, TV Chef Tom Kitchen brings Michelin Star quality at his restaurant The Kitchin and for a taste of Indian - Vinyasa is the place for you (bookable via the OpenTable app).